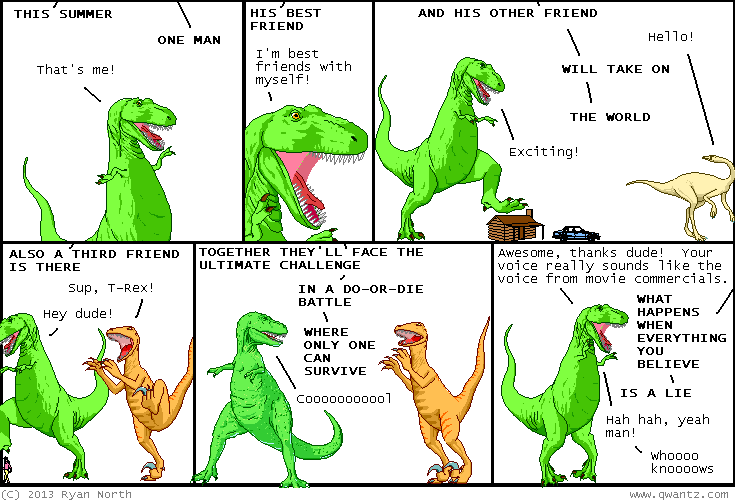 Dinosaur Comics - April 4th, 2013 - awesome fun times! –The dude made tons of mistakes! Objective mistakes! April 4th, 2013: Adventure Time books! I wrote 'em! And you can now buy them in my internet e-shoppe 2000! One year ago today: who here wants to make out? nobody? oh, okay. that's cool. who here wants to ride dirt bikes? ?